Wife grew up on south end of Cow-lumbus. I have no issues shoving the great LS engine in anything that fits and makes sense but best watch this topic around those PCA types...they turn us in. I would worry about about the foam vs hole. My guess is it's a very over engineered theory or weight saver. 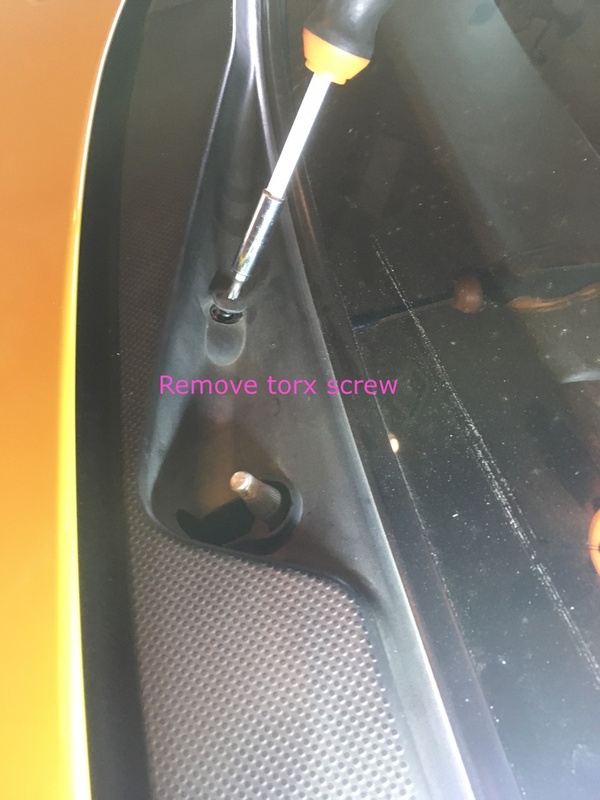 Have my Porsche 5 more years after doing this procedure and never and issue. Sold with 120k miles and old did plugs, belt and fluids! Funny, the PCA types... a couple of years ago I took the car into Porsche of San Antonio to have them look at my gas gauge on their diagnostic equipment. I was standing at the parts counter so I could see through to the shop area when the tech drove the car in, naturally, with the V8 and a cam the car rumbled into the mechanic's stall. Every mechanic came over to look, some were on the floor taking pictures. I was happy I only had to pay the $140/hr and not for the lost time. 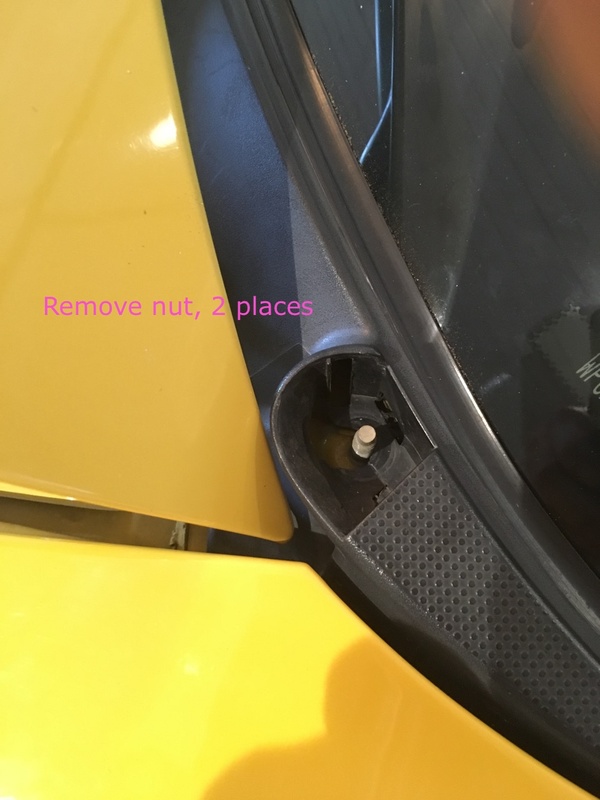 I opened up my 2003 996 C4S per the tutorial but got to the "plugs" and there are none... The door will not come out unless the two halves of the evaporator/heater box are split. That's disappointing to get that far and come up short. I got nothing for you as to many years removed from this project. Rather surprised it would not look the same. Did you get the servo off the bottom? I did remove the servo and arm, what year car and model did you perform this miracle on? I'm wondering if the year or model has changed the way the mixing door is installed. Believe me, there are no plugs, bushings that will come of their captive position without cracking the box halves... Do you remember if the ends of the mixing door were attached to the plugs? Were the plugs slotted, or clock to the plugs. It appears to me that the plugs are permanently attached to the doors and the plugs rotate in the box halves. I poked holes through what was left of the foam on the doors trying to muscle the door up and down. No play that way... So now I think to at least be no worst off is to clean the mixing door on the one accessible side and see if I can get a strip of duct tape to adhere. I called Porsche of San Antonio they want 11 hrs. to R&R the dash at $165.00., plus a new box. Probably a $2,000 repair. I don't think so... If I have to I can probably take the dash out myself, but like you say there's always that chance you won't get it back in without a glitch. Sorry but I have no recall of the specific ways things were attached in there. I dug up my write up with the terrible and small photos and it was little help to me. I don't know what I ever did with the original photos but they are nowhere to be found. I do recall I stumbled on this fix 100% on my own and I"m not usually thrilled to cut something open without a plan. So I must have found some good Porsche drawings that explained what was going on in there and then looking at the design from the cowl made it logical. I've seen guys of all years on the 986 thanks me for this fix so I'd be surprised if the 996 which is mirror of the 986 from the doors forward would be so different. I don't doubt you are correct that my procedure doesn't apply...just surprised! Do you have a durametric? Is there a service position something must be in to get things in the right place for removal? Is the door made of a tin like metal or did they update it? Or do you need even see it? I've cracked open dashes on a 97 Passat Tdi (air box) as well as a 2008 Vw Touareg and I can tell you that VAG does a terrible job of making serviceable parts (blowers) accessable. At the same time they do a pretty good job of making the dash come apart (compared to Saab and Volvo) but you'll never get it back 100% unless you are surgeon. I always has some screws left over or a hole that won't line up and I chose not to put that hole in! Wish I was near by so I could get a 2nd set of eyes on the project for you but I'm sure you have seen the facts as they are. Thanks for the reply... I thought your fix was brilliant, but I've spent several hours trying to remove the plugs, sleeves, or bushings. I had a car buddy come by yesterday and he spent time on his back under the dash with the same out come. I wanted to be sure that I hadn't missed anything. 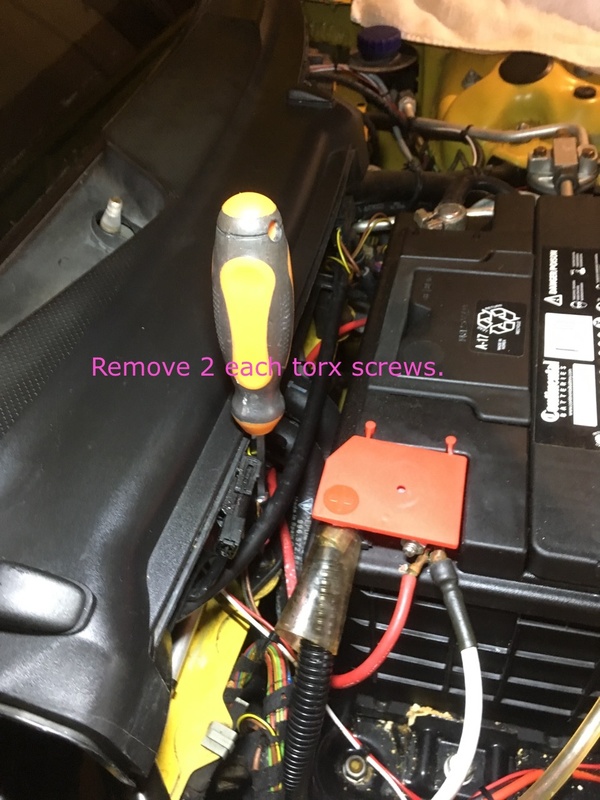 After all, if I can install a V8 in my Porsche I should be able to remove any plugs, etc. LOL The only way to get the mixing doors out is to split the heater/evap box. I have the Durametric program. Yes... the door is made of thin metal, probably aluminum. I agree the 986 and the 966 is the same forward of the firewall. I guess it is what it is. 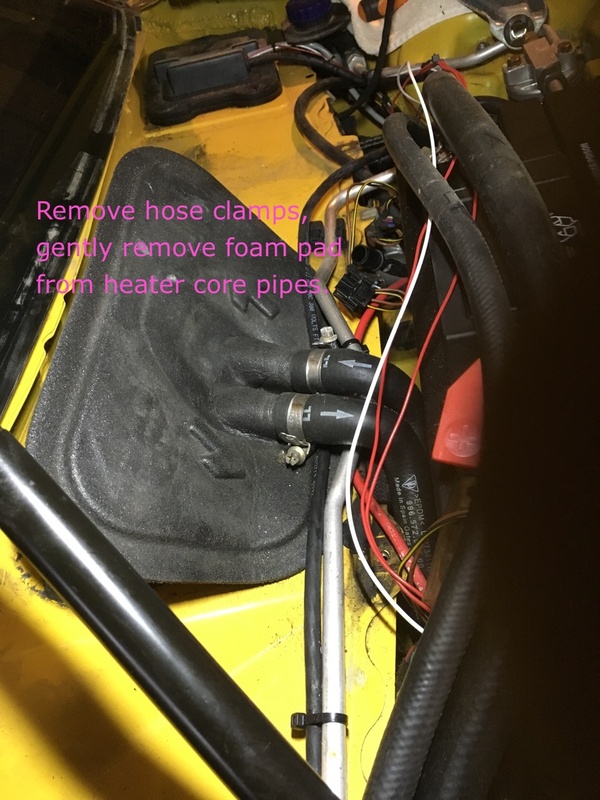 What I might suggest is to go back and modify your tutorial and suggest that the first thing you do is to go under the dash and drop the actuator arm and be sure there's a plug and it comes out. Then go topside and remove the cowling, etc. I started an update but stopped when I ran into the plug situation. Here are my pix and comments so far. I could take pixs of the open hole showing what I can of the flap door. Guys, I'm new to this entire Renntech forum. Found this thread due to experiencing this same problem - foam in the air ducts. This has been VERY informative, so I'll give it a try to see if it's possible executing this procedure in my 2004 996 CS4. For those wanting more information on how to seal the blend doors, I found this Youtube video of someone doing just that on a VW TDI. The doors and entire system look identical to what we have in our Porsches and the process looks easy enough. Just need to access the door(s) to get the job done. I'll update this post if I experience any issues. Thanks for your very informative posts! So I was able to get the job done, but not without some hiccups. 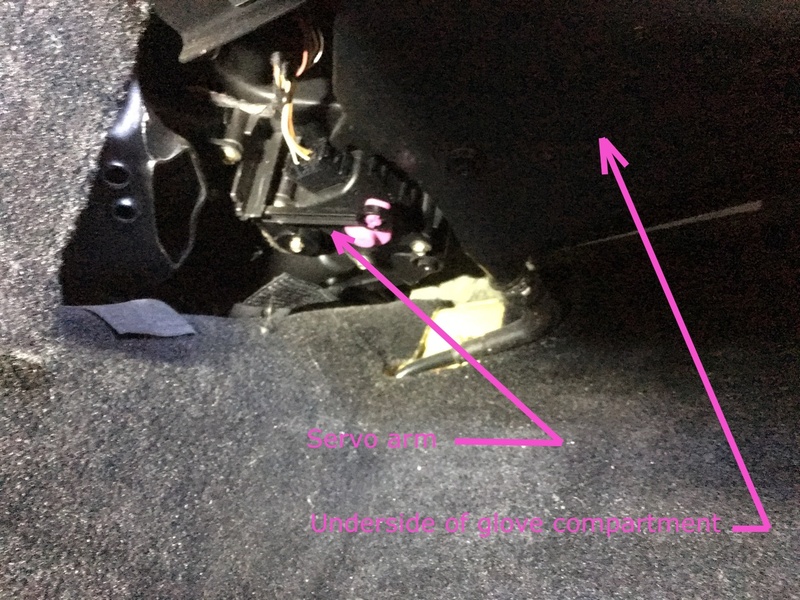 I couldn't "easily" access the servo arm underneath the glove compartment so I figured I had to remove the carpeted subwoofer panel that is attached to the center console along the left side of the front passenger footwell. I could see one bolt closest to the firewall but couldn't find the other. 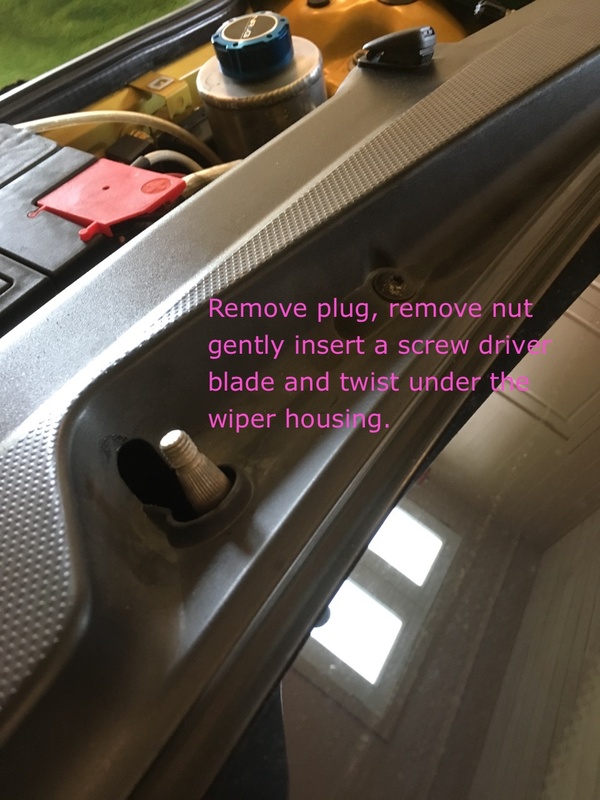 Had to look deep into the service manual to find out the other bolt was buried underneath a flap in the carpet. I eventually managed to successfully remove this subwoofer without damaging it and was then able to "easily" access the servo arm. 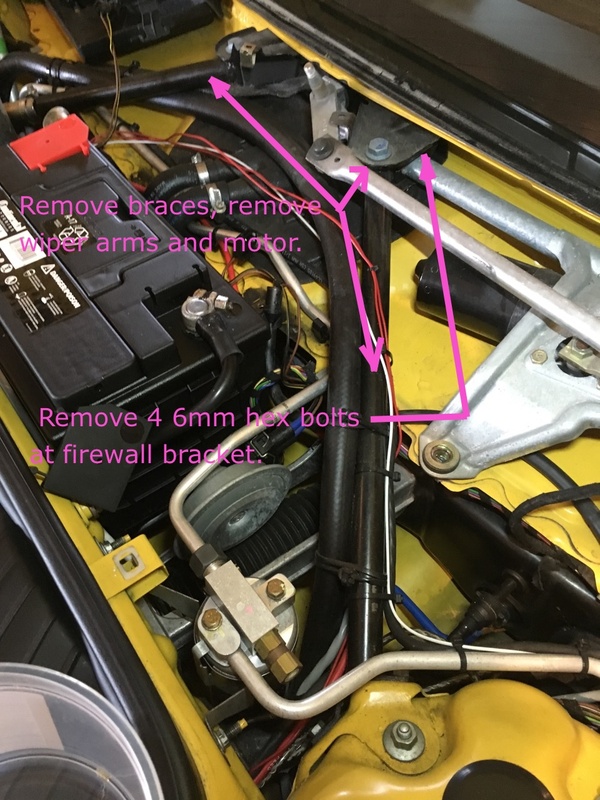 I also learned that adjusting the temperature control switch from the console would position this servo arm to expose the head of the hex screw for removal. This job took me well over the 3 hours that it took rsfeller, but I got it done through his ingenuity and and detailed instructions - thanks! One additional note: when I removed the blend door that had the holes in it, I noticed another door deeper in the air duct that also appeared to have the foam blown off. It was completely bare and completely inaccessible via this method. You can see this other door in the video I posted above. That's what prompted me to look for it in the first place. I hope this resolves my poor temperature control issues. Thanks again to all!